An ingenious invention by a student at the Universality of California. 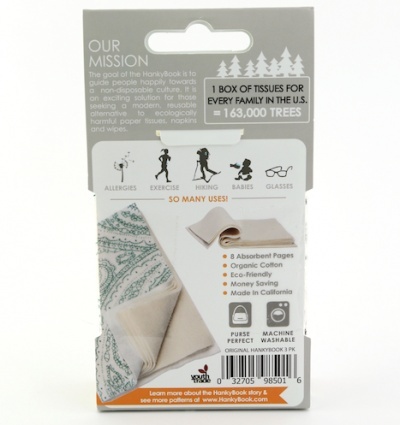 Made from 100% organic cotton with folding pages just like a book. 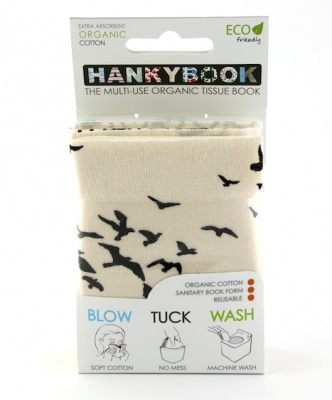 Replaces disposable tissue and has many uses. This set comes with three Hankybooks, Paisley, Birds and Bikes. This set comes with three Hankybooks, Paisley, Birds and Bikes.